Did y'all have a great Mother's day? We had a wonderful time with our mom. We took her shopping at Anthropologie. 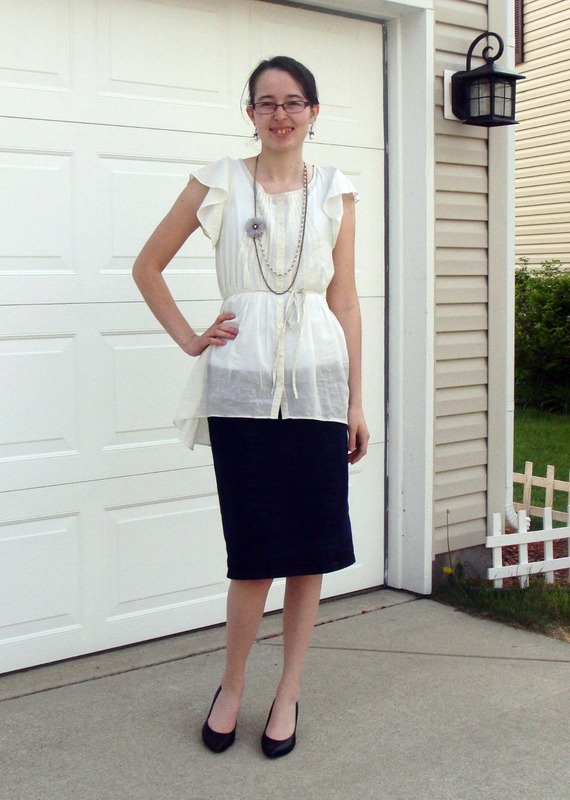 :) While there I also picked up this tunic/blouse in the clearance section. I adore all the pintucks and the fluttery sleeves. 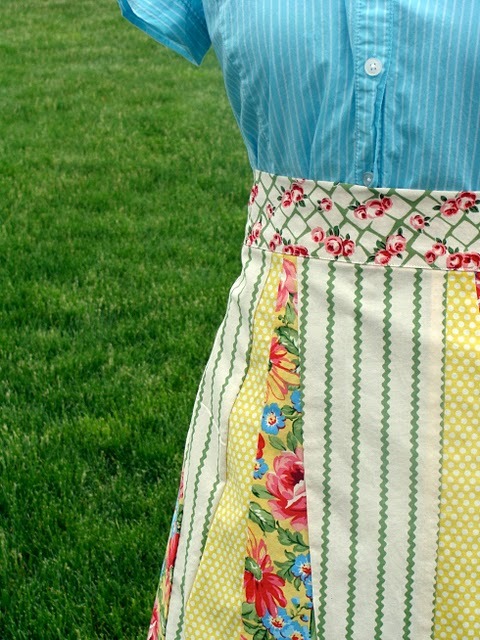 Also, I'm giving away this apron on Grace's Garden Walk. What a neat site you have! I found your link on Grace's website...I love the apron you are giving away! Have a blessed day! What a lovely and feminie outfit! Love the tunic from Anthro! Well, you already know how I feel about Anthropologie... and that blouse is sooo lovely!! It sounds like y'all had a wonderful Mother's Day with your Mom! By the way, that apron is so cute! Winner of the Fresh Modesty giveaway!